BUFFALO, N.Y. — Several witnesses took the stand on Tuesday as both the defense and prosecution laid out details to the jury surrounding a Virginia man accused of aiding an ex-lesbian turned professing Christian who fled the country with her daughter in 2009 to escape a court order. Robert Hemley, who is representing Philip Zodhiates in court, described the accused as a “unique and special individual” who has a willingness to help those in need, and who has lived out his love for the least of these through his adoption of six children. As previously reported, Zodhiates is charged with international parental kidnapping and conspiracy for allegedly driving Lisa Miller and her then seven-year-old child from Virginia to New York, where she crossed over into Canada before fleeing to Nicaragua. Zodhiates, the son of the late Dr. Spiros Zodhiates, a Greek-born Bible scholar who founded the missions and relief ministry Advancing the Ministries of the Gospel International (AMG), plead not guilty to the charges in 2014. 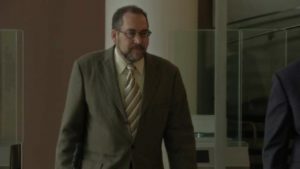 On Tuesday, defense and prosecution had differing opinions during their opening statements about Zodhiates’ intentions and the legal parental rights of Miller’s former partner Janet Jenkins. “They chose to have a child together,” Van De Graaf argued. “Lisa Miller is the biological mother. Janet Jenkins never decided to adopt,” Hemley contended. Attorneys also disagreed about the laws in place at the time that Miller fled the country, as Hemley said that there were no special visitation orders in effect when Zodhiates became involved, and that the motion to transfer custody didn’t occur until after Miller had left the country. Van De Graaf argued that the court had recognized Jenkins as having parental rights. Hemley contended that the nation’s courts weren’t settled on parental rights surrounding homosexual unions in 2009, while Van De Graaf asserted that Zodhiates acted with full knowledge of the law. Several witnesses also took the stand on Tuesday during Zodhiate’s trial, including Ervin Horst, a retired Canadian farmer and semi-retired Mennonite pastor, who drove Lisa Miller from Niagara Falls to the Toronto airport. When asked about his involvement, Horst said he didn’t know Miller’s plans as she never stated why she was traveling, and would not have participated if he had known his assistance was illegal. He said that he had been asked by Pastor Ken Miller to pick up Lisa Miller in Buffalo, but stated that he would only meet her in Canada, as he “didn’t feel good” about crossing the border. He later agreed to meet her at a hotel in Niagara Falls. Horst is not facing criminal charges. A representative from Golden Rule Travel, who handled Miller’s travel arrangements, also testified, likewise stating that they did not know the reason for Miller’s travel. Ginamarie Jonah of the Canadian Border Services Agency testified that she witnessed a taxi come across the border. As previously reported, the situation began in 2000, when Miller, then a homosexual, joined in a civil union with lesbian Jenkins in the state of Vermont. Following an artificial insemination procedure from a male sperm donor, Miller gave birth to a daughter, named Isabella, in 2002. But even then, Miller had concern. “There were numerous incidents of Janet going to [the Internet] and putting up naked women on the screen saver, and I would ask her to please change it,” Lisa later told the court, according to the Washington Post. Miller, who had previously been married to her college boyfriend, said that she had struggled with being intimate with her husband due to an abusive childhood, which adversely affected their marriage. She turned to alcohol for solace, and later became involved in a relationship with a woman, but only for the companionship. “I did not feel sexually attracted to women,” Miller said. She met Jenkins at an Alcoholics Anonymous meeting while seeking help and soon moved in with her, where one step led to another. When the civil union between Miller and Jenkins was officially dissolved, the court gave custody to Miller, while also granting visitation rights to Jenkins. While Miller did allow Isabella to spend time with Jenkins for a while, she reportedly became concerned at the information that her daughter was providing to her following the visitations. 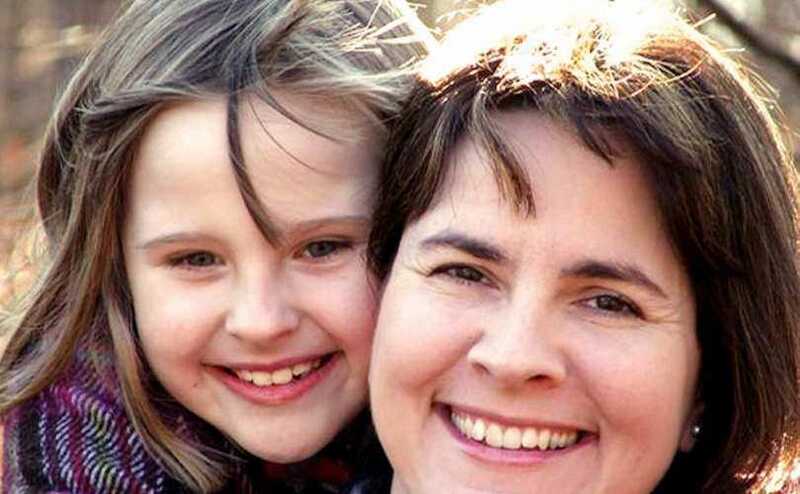 However, Jenkins fought the ruling all the way up to the Virginia Supreme Court, which in 2008, ruled in favor of granting Miller’s former lesbian partner visitation rights. Miller refused. However, Miller had fled the country with Isabella before he issued the transfer order, and for some time, none knew the whereabouts of the two. It was later discovered that they had fled to Nicaragua via the help of a number of Mennonite Christians and their contacts. American missionary to Nicaragua Timothy “Timo” Miller—no relation to any in the case—is also accused of arranging Lisa Miller’s travel arrangements from Canada and assisting her upon her arrival to Nicaragua.